Built in 1976, by McDermott Shipyard Incorporated of New Iberia, Louisiana (hull #100) as the Justine Foss for the Foss Maritime Company of Seattle, Washington. Powered by two, EMD 12-645-E7 diesel engines. With Falk 1635 MRSF reduction gears, at a ratio of 3.95:1. Turning two, 110(in) by 80/86(in), stainless steel, fixed pitch propellers. 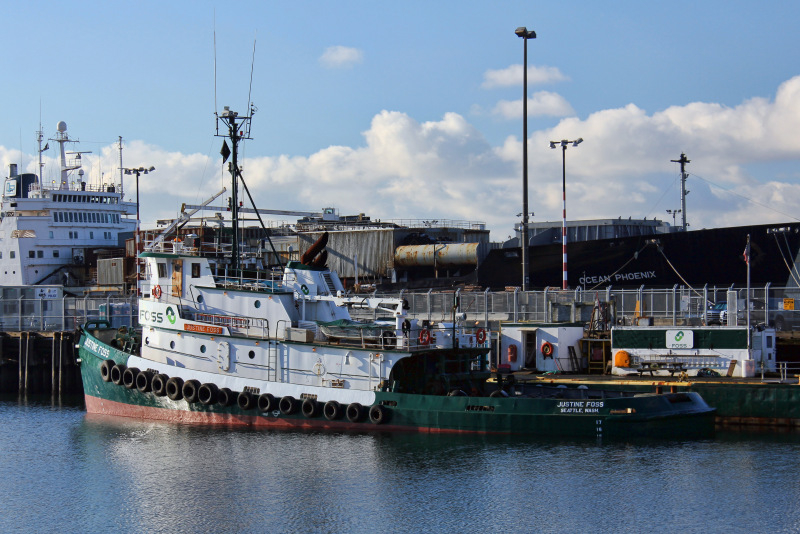 She is a twin screw tug, rated at 4,300 horsepower. Her electrical service is provided by two, 115kW generator sets. Driven by two, GM Detroit Diesel 6V-71 diesel engines. The tug's capacities are 105,000 gallons of fuel, 140 gallons of hydraulic oil, 3,080 gallons of lube oil, and 4,200 gallons of water. The towing equipment consists of a Markey TDSD-32, double drum, towing winch. Outfitted with 2,000(ft) of 2.25(in) towing wire on the primary drum. And, 2,200(in) of 2(in) towing wire on the secondary drum. 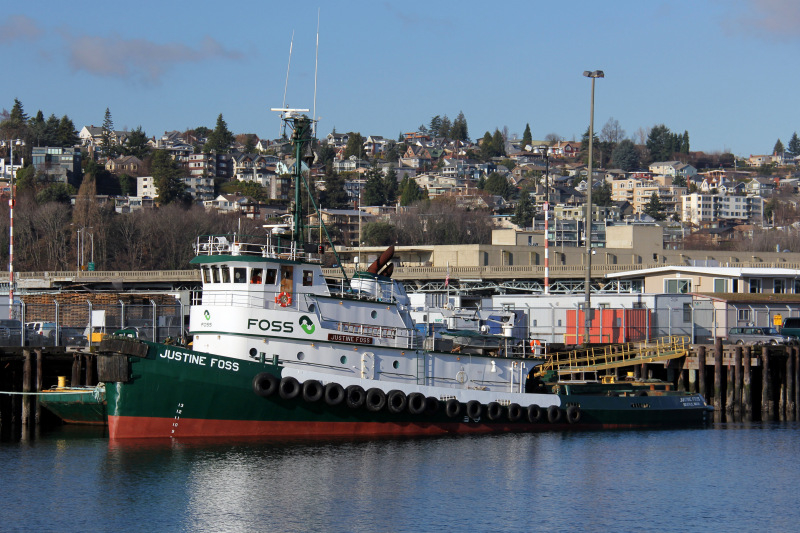 As well as, a Foss bow winch, outfitted with 200(ft) of 1-18(in) ship wire.